Current Value has been creating hard-hitting Drum and Bass for almost a decade now. Taking the production of Drum & Bass' dark sub-genres from roughly produced and pushing it to more refined and polished sound, while maintaining its aggressiveness. He's in the mix for us now for almost an hour, so tune in and as always let me know what you think! Berlin's Current Value (Tim Eliot) represents the forefront of the underground DnB scene, and is a rapidly emerging force in the harder, more techy end of the Dubstep spectrum. His forward thinking production combined with a highly technical approach to music and lean, tight arrangement, makes for some of the most instantly recognisable music currently released. Following substantial training in classical piano, Tim initially began dabbling in electronic music in 1992. Several years later he began receiving recognition from local Berlin radio stations and a series of irrefutably classic 12"s followed. Seminal works on Don Q and Position Chrome catapulted Current Value into a position of iconic status. Shortly thereafter, he began playing live across Europe and the USA; with his unique sound catching dancefloors afire worldwide. The early Position Chrome releases like 'Creative Robot', 'Skybreaker' and 'Bass Riot' were very well received, with the decidedly dark and often dissonant sound of the techstep revolution resonating with many disenfranchised junglists, as well as electronica listeners. 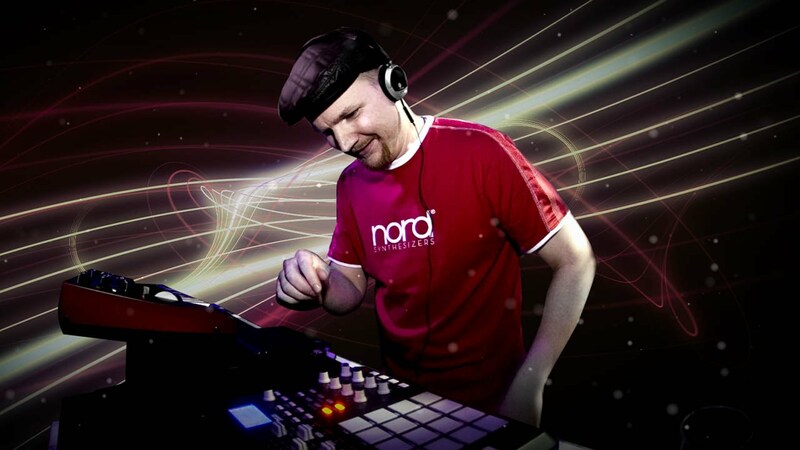 The numerous singles and LP's to Current Value's name, he made an indelible impression on the DnB and techno genres. Subsequent appearances on renowned labels such as DonQ Records (Ger), Ruff-Teck (NL), Klangkrieg (Ger), Phantom Noise (Ger), NoBreaks (Ger) and Soothsayer Recordings further solidified his status. In 2004, after 1 year of education, he received his Diploma at the School of Audio Engineering SAE - enhancing his production values and abilities even further. In mid 2005 Soothsayer released the first of several Current Value 12"s. Successive releases including a split 12" w/ Kid Kryptic (Soothsayer/Theoretic) and the monumental "The Unspoken" EP underscored the growing quality of Current Value releases. In 2006, Current Value continued to deliver ever more complex and precisely created music, with his new work for Soothsayer Recordings, Intransigent Recordings, Obscene Recordings, Algorythm and the US based Evol Intent Recordings. Current Value began to collaborate with SPL (Tech Itch, Freak, Lost Soul), Limewax (Freak, Tech Freak, Tech Itch, L/B), Counterstrike (Algorythm/Future Sickness) and Raiden (Offkey, Freak, Position Chrome); providing tunes for some of the finest afore-mentioned DnB labels. In late 2009 he released his next full length album on Freak Recordings called "2012 - The Day Of Silence". In early 2010 Current Value presented a further album available on Subsistenz on the 12th of April 2010 on 5x Vinyl, Double CD & MP3. 2011 saw Current Value remixing Noisia's track 'Purge' featuring the Foreign Beggars, from their 'Split The Atom' album on Deadmau5's Mau5trap label. This brought a significant amount of further recognition, taking Current Value's sound to a much wider audience. This was in addition to a slew of other releases on Subdivision, Barcode, Section 8, Nekrologik Records and Tantrum Records. 2012 so far has brought some of the highlights of Current Value's career, with the crowning achievement being without doubt his collaboration with Bjork. He contributed the beats to the track 'Sacrifice' from her most recent album 'Biophilia'; with these beats also being included in the highly successful and award-winning Biophilia phone application. Following this collaboration, Current Value was given the first and fourth releases of a series of Biophilia remixes, alongside other electronic artists at the forefront of their genres such as Hudson Mohawke and Alvo Noto. This is in addition to releases on Subtrakt, Position Chrome and Section8. A further album is set for release on the consistently epic Barcode label. His highly acclaimed side projects include "Machine Code" and “Underhill”. Machine Code is Tim Eliot working with Dean Rodell, working on a fusion of DnB, Techno and Dubstep to create forward thinking, genre-combining experimental dance music. 2011 saw the release of their first full length LP – 'Environments' - released on Subtrakt; following a number of successful singles put out through Subdivision Media's various labels, as well as Combat Recordings, Yellow Stripe Recordings, Mentally Disturbed and Union Recordings. Tim worked with Dean Rodell and Ivan Shopov on the Underhill project up until after the release of their first LP – Silent Siren. Another genre-fusing project, Silent Siren was released to critical acclaim – drawing together elements of Dubstep, Witch-House, Hip-Hop and Techno.